Johnny Triple is currently seven and turns eight on February 21 next year. He is league age "8" for both the Fall 2018 and Spring 2019 seasons. Tina Fielder turns six on September 13 of this year. She is league age "6" for both the Fall 2018 and Spring 2019 seasons. The league is organized into divisions for the fall which roughly parallel those in the spring. Because player participation is generally much smaller for the fall season, the structure of the divisions is slightly altered to guarantee there are enough teams for a competitive balance and to ensure that players of roughly-equal ages (and skills for upper divisions) are placed together. Player, coach, and parent involvement is high. ALL players league age 5. Players league age 6 WITHOUT a prior season of Spring T-Ball experience. NOTE: Per Little League regulations, there are no exceptions to these placement policies! Personal requests (place with friend, etc.) may be considered at the Player Agent’s discretion. ALL players league age 6 WITH a prior season of Spring T-Ball experience. ALL players league age 9. Players league age 10 not assigned to Advanced division. Players league age 12 with Player Agent approval. ALL players league age 13-14. Parents who are new to Loudoun South Little League should provide as much background on their player during registration, including leagues and levels played, years experience, etc. 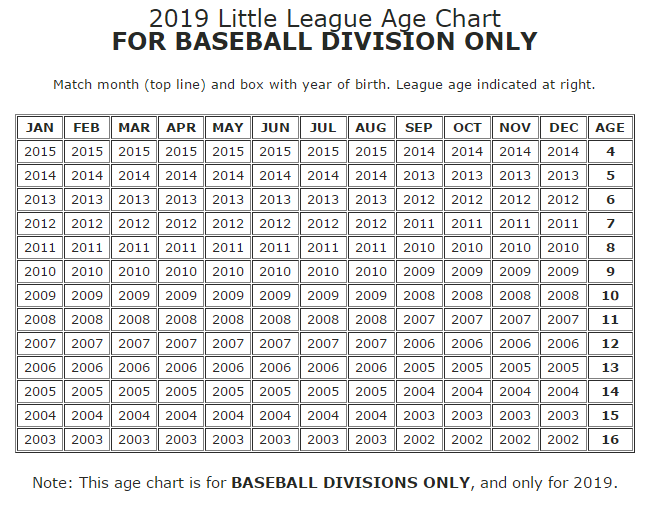 The LSLL Player Agents represent all player interests for the league, and parents are encouraged to contact them regarding division placement at .